Inform yourself about pill testing results and drug interactions and learn how to practice safer use. KnowDrugs informs you about pill testing / drug testing results and helps you to avoid particularly dangerous batches. Find information about common drugs as well as new psychoactive substances (NPS). Learn about their harm potential, dosage, duration, effects and drug interactions. Taking drugs always involves risks. However, if you do decide to take drugs, KnowDrugs shows you how you can minimize risks and consume drugs more responsibly. Know how to spot a drug-related emergency and how to react when someone might need your help. Find support nearby with a counselling organisation. Their mission is not to make you quit taking drugs, but empowering you to take informed decisions and helping you to reduce the risks of taking drugs. KnowDrugs is independent of governments. We believe that objective and unbiased information on drugs is a fundamental right. Drug checking or pill testing is a way to reduce the harm from drug consumption by allowing users to find out the content and purity of substances that they intend to consume. 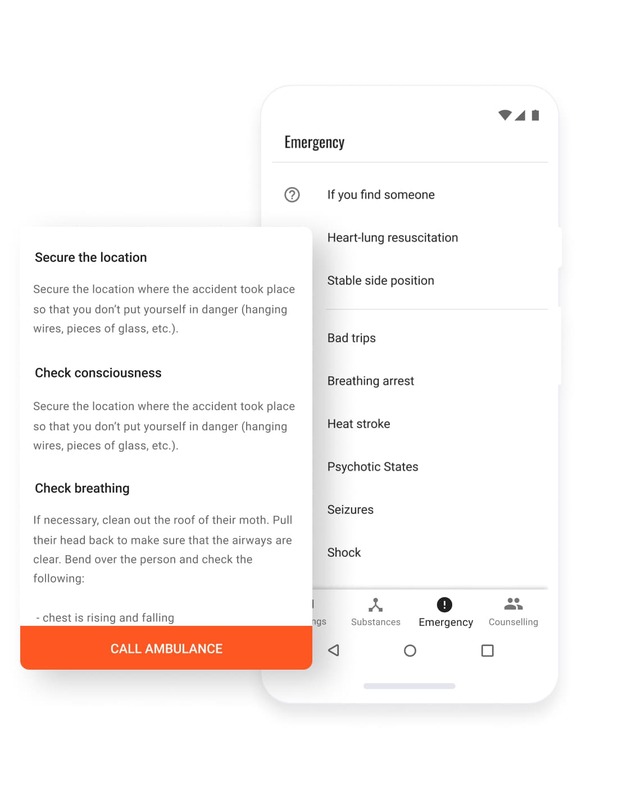 This empowers users to make safer choices: to avoid more dangerous substances, to use smaller quantities, and to avoid dangerous combinations. People intending to take drugs provide a small sample to the testing service (often less than a single dose). Test results are usualy provided after a short waiting period. Drug checking services use this time to discuss health risks and safe behaviour with the service users. The services also provide public health information about drug use, new psychoactive substance (NPS) and trends at a national level. Where do the drug checking results come from? 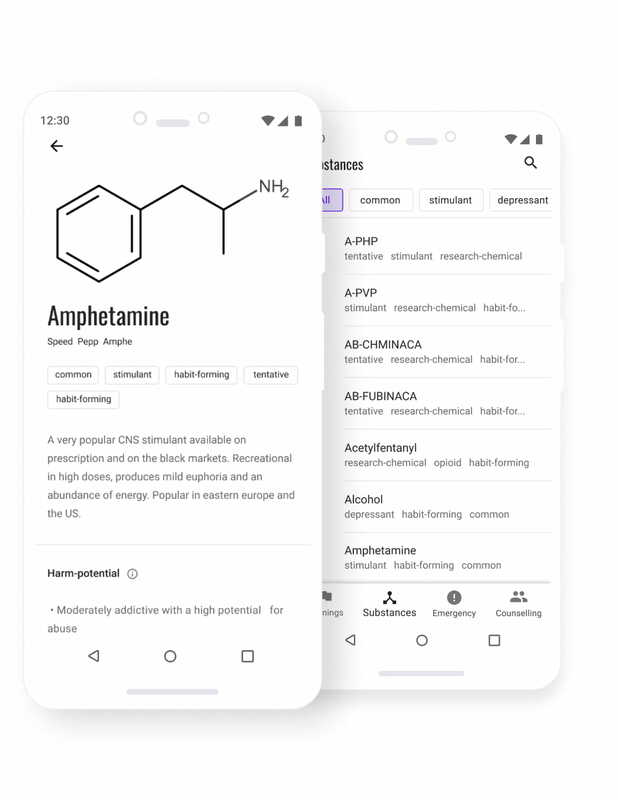 The KnowDrugs app lists drug checking results from various harm-reduction organisations who conduct drug checking – e.g. Saferparty Zurich, CheckIt! Vienna or The Loop. 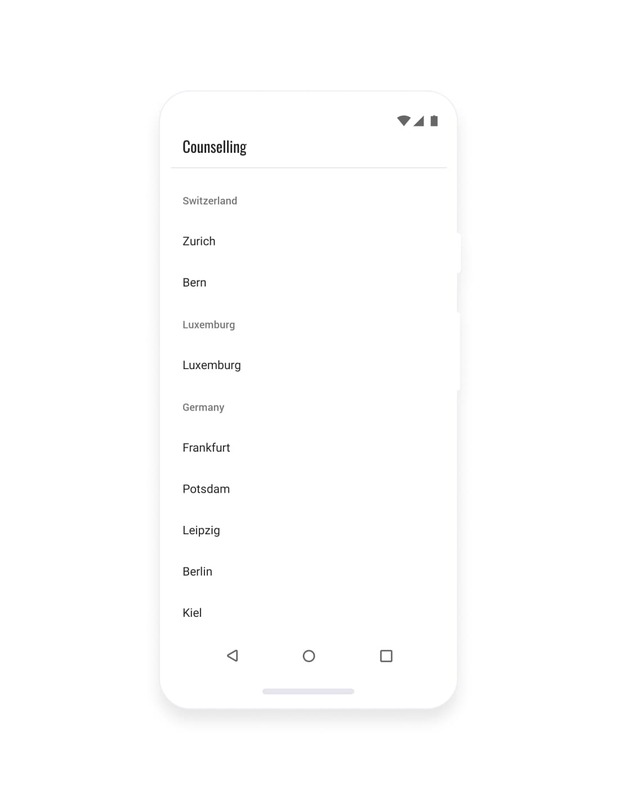 Some of the organisations publish the test results later on their websites which the KnowDrugs app aggregates in a reverse-chronological feed, so that the most recent test results always show up first. KnowDrugs is a self-started project by Philipp Kreicarek, a former Social Worker. The goal of this project is to reduce the harms associated with the consumption of drugs by enabling people that decide to take drugs – despite the risks – to make informed decisions and to practice safer use. This project is a 100% non-profit project and relies on donations in order to maintain and develop the app. 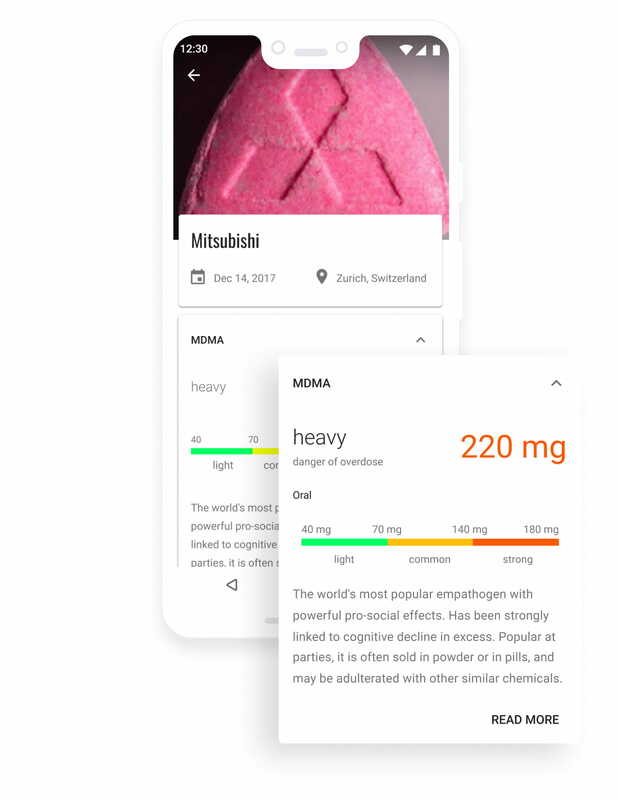 Is it safe to rely on drug checking results published on the internet/in the app? No. There is no such thing as risk-free consumption of drugs. 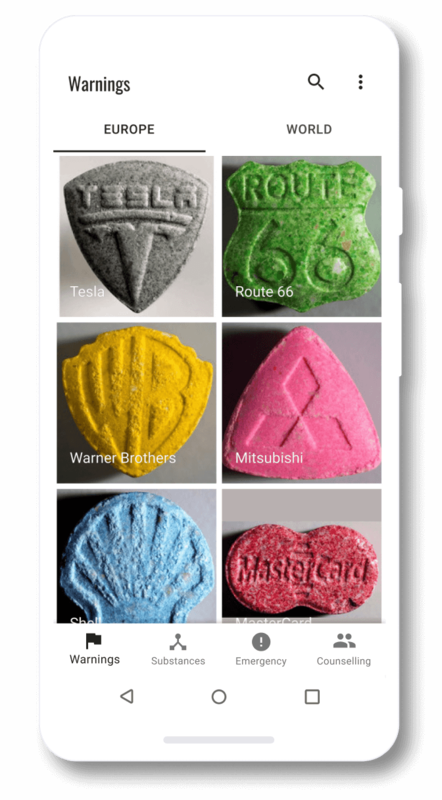 Similar looking ecstasy pills can contain different ingredients and or strengths. Using drug checking services like Saferparty (Zurich), Checkit! (Vienna) or The Loop (UK) is highly recommended if you want to be sure, what your drug actually contains. However, we believe that drug checking results should be accessible and available to those who do decide to take drugs. Drug checking results raise awareness about the fact that a high amount of ecstasy pills nowadays contain up to 4x the regular dose. Sign up to receive updates about the KnowDrugs project and digital trends in harm-reduction and drug education. KnowDrugs is a donation-financed, independent project. 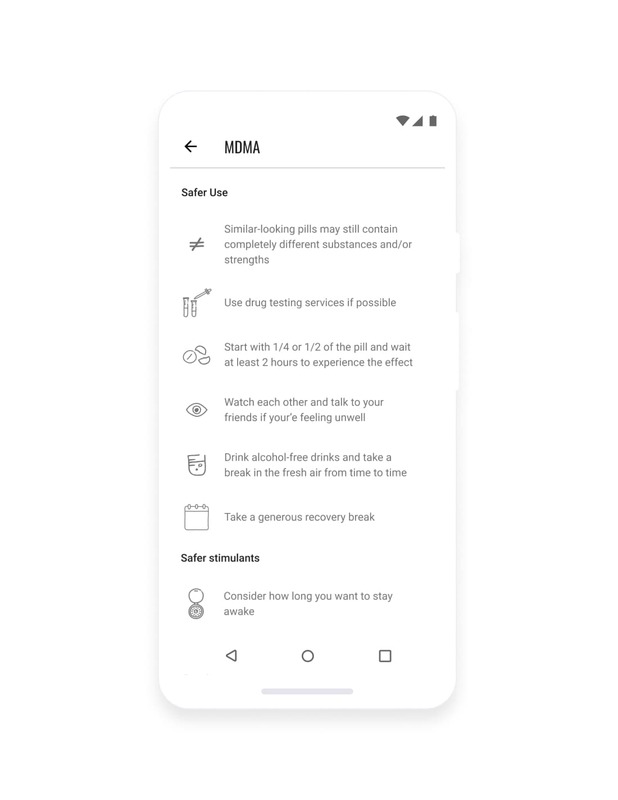 Our goal is to reduce the harms of illicit drugs by making drug checking / pill testing results accessible and providing people with objective information.